Dredge Central Attends Texas A&M Dredge Courses!! Dredge Centrals own Larry Fleeman and Sam Martin attended the engineering short course. The course includes a mixture of lectures, laboratories, and discussions on the Texas A&M University campus. 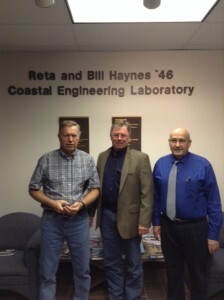 The course is administered by the Center for Dredging Studies, the Ocean Engineering Program, and the Zachry Department of Civil Engineering in cooperation with the Office of Professional Development at Texas A&M University. Larry was also able to attend the cutter suction simulator course. This course demonstrates hydraulic dredging using a cutter suction dredge. Concepts of cavitation, deposition of sediment in the pipeline, pipeline length limitations, pump power limitations, and swing winch limitations are simulated. Different sediment conditions and channel currents are also simulated. A PC computer is interfaced to actual controls for a cutter suction dredge. 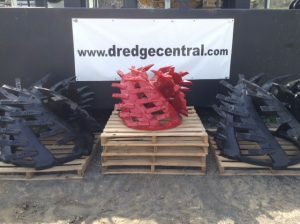 Dredge Central is strongly committed to their customers. As we continue to grow and further our education, we are dedicated to consistently producing quality re-manufactured products that stand toe to toe with any new equipment you can find on the market.